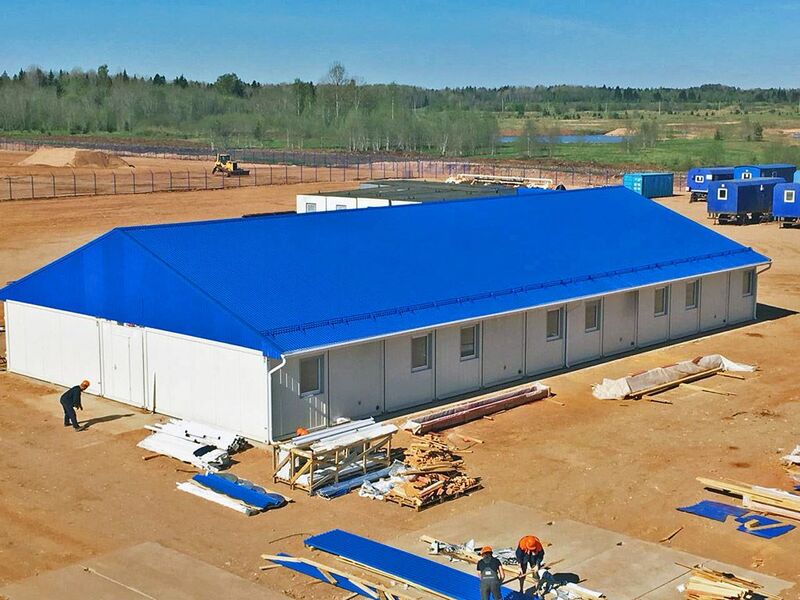 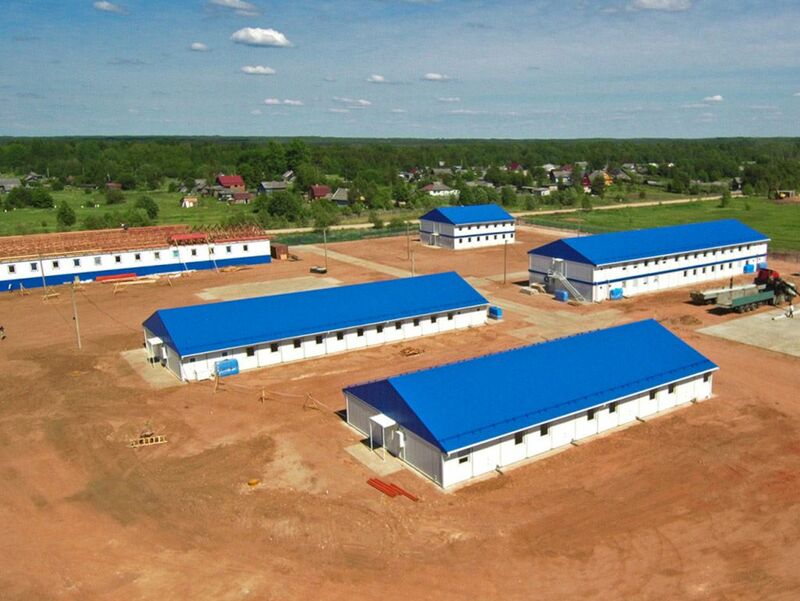 This office and accommodation facility was built in Pikalevo for a Russian gas supplier. 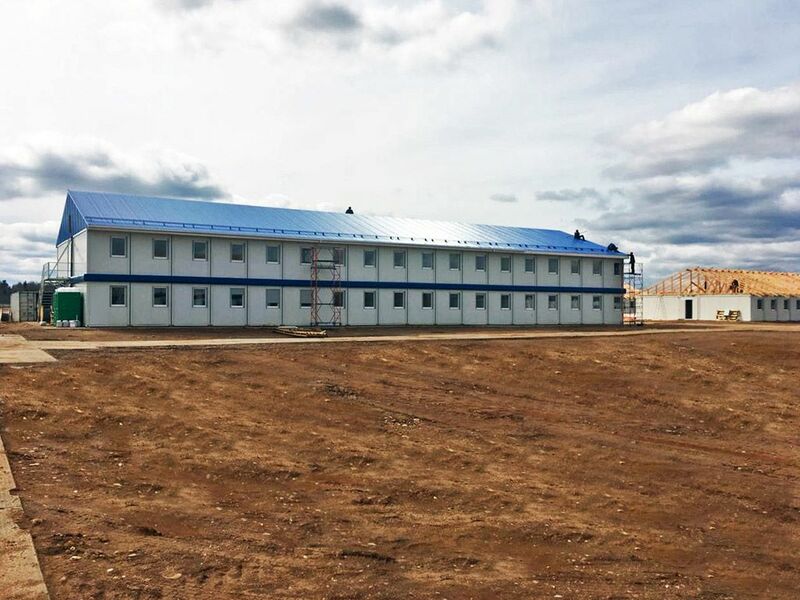 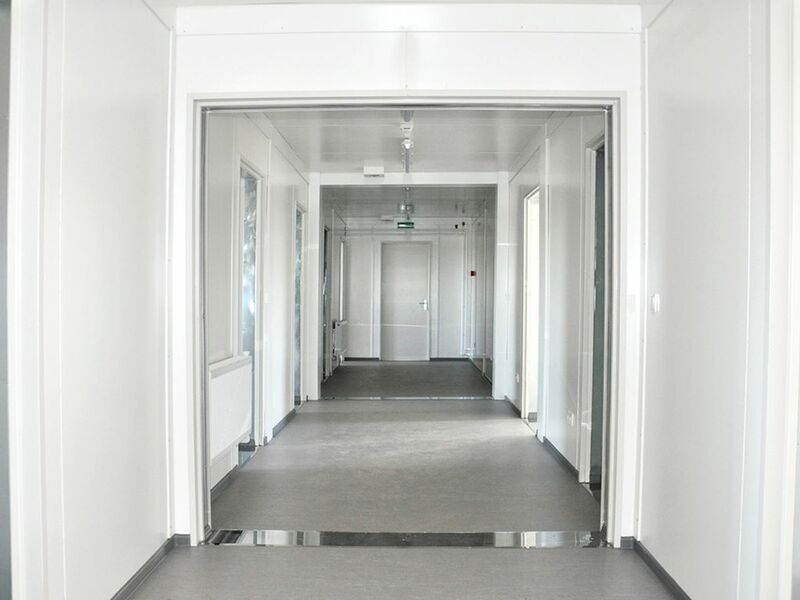 The white portable cabins are equipped with a blue fascia and roof, giving the mobile modular building a beautiful brightness. 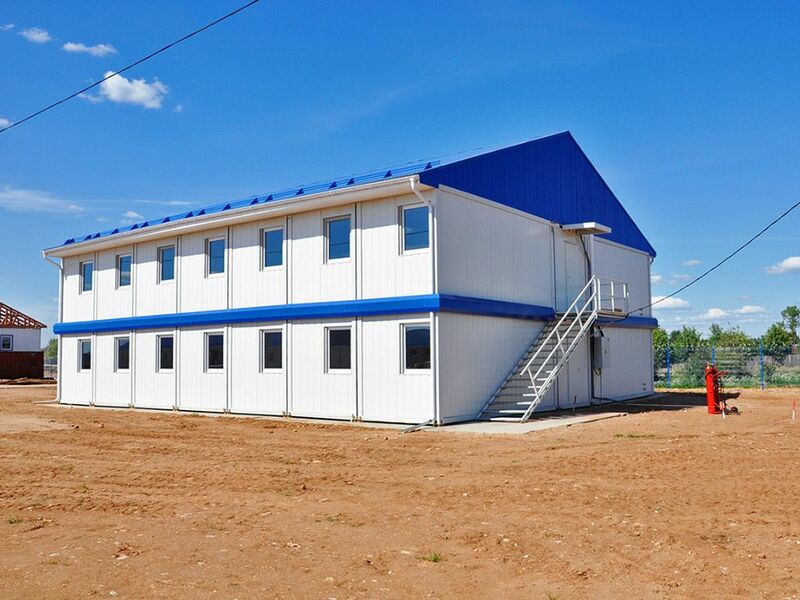 External stairs allow access to the upper floor and each entrance door has a canopy. 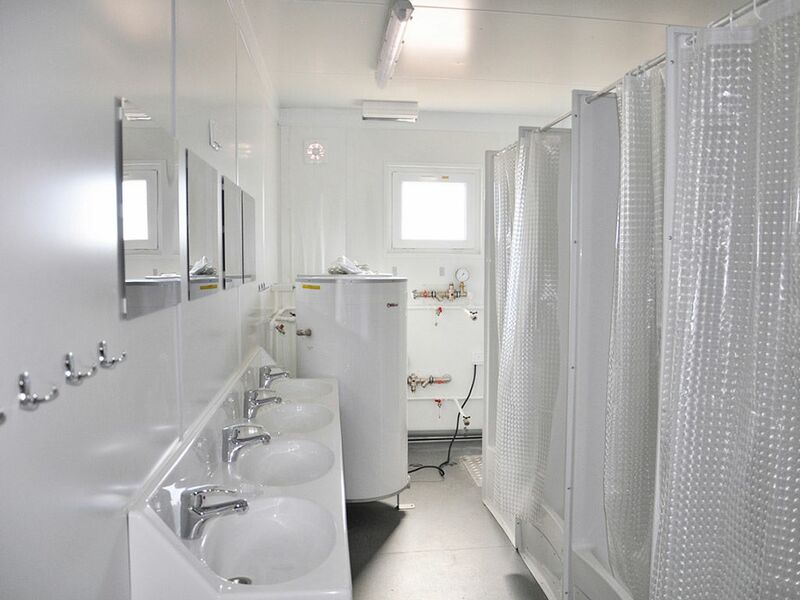 In the container village there are numerous lounges, meeting rooms and changing rooms including sanitary facilities and showers.